Take control of your time with ETS Live® To Go. 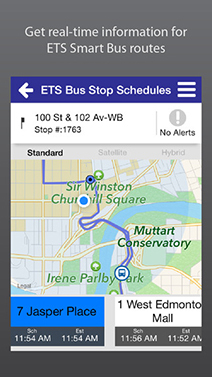 Get real-time information for ETS Smart Bus routes anytime, anywhere--as well as scheduled information for all other routes. Visit ETS Live To Go Help for assistance. 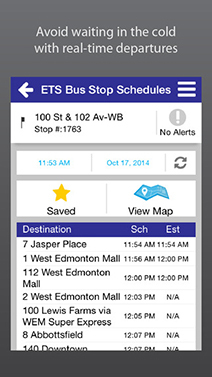 There are no plans to create an ETS Live To Go app for Blackberry or Windows phones. 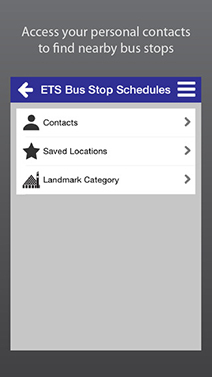 There is a mobile website version of the ETS Live website with many of the same features. 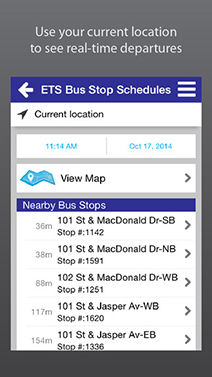 ETS provides customer-focused, safe, reliable and affordable public transit services that link people and places. Learn more about ETS. 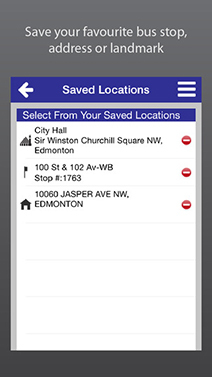 Search for “ets live to go" or download directly.